I’ve been in Milan this week for an exclusive tour of Sensient Food Colours Italy – the largest European producer of natural red colours (both liquid and powder) for food production, using grape skins and black carrot. 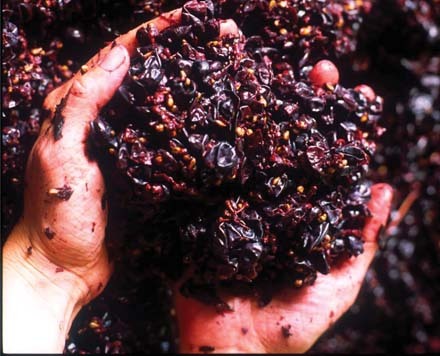 The site processes more than 1,000 tonnes of materials per day during the grape harvesting season, and extracts 90 per cent of the colour content in less than one hour. Not surprisingly, it’s an impressively slick operation and one in which managing director Imerio Bortot and his dedicated team carry out with both pride and precision. But while food companies are no doubt grateful for the company’s efforts, and rightly so, I think I may be due a little praise here too.